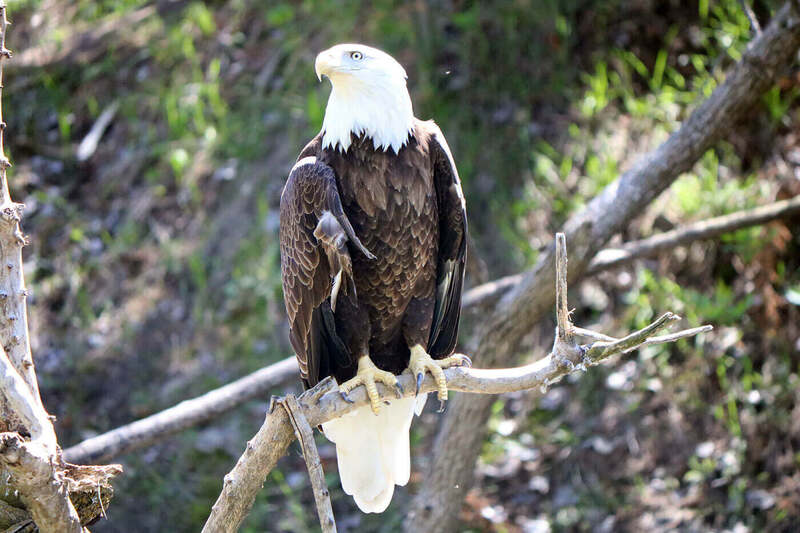 A short walk from the Wolf Canyon parking lot, Eagle Aviary is a half-acre exhibit created in partnership with the Nebraska Environmental Trust Fund, Omaha Zoo Foundation and Omaha’s Henry Doorly Zoo and Aquarium. It provides a unique, up-close and personal view of bald eagles from a large deck situated inside the exhibit. The bald eagles are on loan from the U.S. Fish and Wildlife Service and are non-releasable. These raptors are native to Mexico, Canada and the United States. They can live up to 40 years in the wild and even longer in human care. Their average wing span is six feet, with females reaching even longer at over six and a half feet. In 2007, the Bald Eagle was removed in the contiguous 48 states from the Federal List of Threatened and Endangered Wildlife and Plants due to recovery. Fun Fact: The Bald Eagle has been the symbol of the United States since 1782.